There is a lot of talk about Artificial Intelligence (AI) today and many articles that have been written proclaiming its impending effect on our economy. For example, Tony Room of Recode wrote about Treasury Secretary Steven Mnuchin's claim that robots are at least 50 years away. This article follows a theme about AI centered around its potential impact on manufacturing and other blue-collar industries. But as technology is constantly advancing, it’s important to understand that virtually no industry is safe from disruption. In fact, recently, Pedro Nicolaci da Costa of Business Insider wrote an article which focused not on the impact that AI will have on blue collar jobs, rather it focused on AI and white collar jobs. Clearly there is an awareness that AI may have an impact our economy in the future, but how it actually happens and when it does is open for debate. That is probably true in all cases, it is just difficult for people to imagine what our world will look like in the coming years when we are connected, without wires with devices more capable than anything humankind has known. Any discussion can very quickly devolve into claims of science fiction and Hollywood movies. In fact, I would argue describing the economy or the world in 5 or 10 years is a rather useless debate. We knew the world would be different when we first saw a microwave, a mobile telephone or a video game console, but it wasn't simple to imagine the disruption these types of consumer products would bring to our lives. The last ten years have produced radical disruption. When one really breaks down the impact that companies like Uber and Airbnb have had, it is clear that the transformation happens very fast. The taxi and hotel industries will never be the same, and countless companies — and their workers — have had to adapt. The well known New York Times columnist Thomas Friedman's book “Thank You for Being Late” provides a terrific narrative about the impact 2007 has had on our world today. From the first iPhone through to the growth of Amazon, the concept of exponential change is laid out very well. It is unrealistic to think that this exponential change is going to slow down. As the cost of technology continues to plummet and as new generations only know a digital world, not an analogue one, I expect major disruption in white-collar industries. Professions such as accounting, finance and healthcare will be radically disrupted by the evolution of AI and the hardware to implement AI will continue to amaze and perhaps, overwhelm, older generations. AI is poised to expedite the disruption. By example, the extremely accurate predictive technology employed by Netflix has upended the television and movie business and, in a similar way, Amazon has forever changed the way consumers shop...not to mention food delivery robots have already taken to the streets of San Francisco. In fact, a January 2017 report from the McKinsey Global Institute estimated that roughly half of today’s work activities could be automated by 2055, “give or take 20 years”. However it plays out, it's probably not quite time to panic about a potential surge in unemployment. As with every technological advancement our society has made, we learn to be more flexible and adapt to the changing landscape. Let's go back to the examples of Uber and Airbnb. While these companies caused significant job losses, they also created jobs — if not more than they took away. People are now taking advantage of these apps, becoming Uber drivers, Airbnb hosts, or working for the corporate side of the companies. The advancements in technology affords us more options and ultimately better products delivered in less time. And while our world will certainly become even more autonomous than it is today, there will always be things AI can't replace. To that end, the demand for office space and commercial developments won't go away. 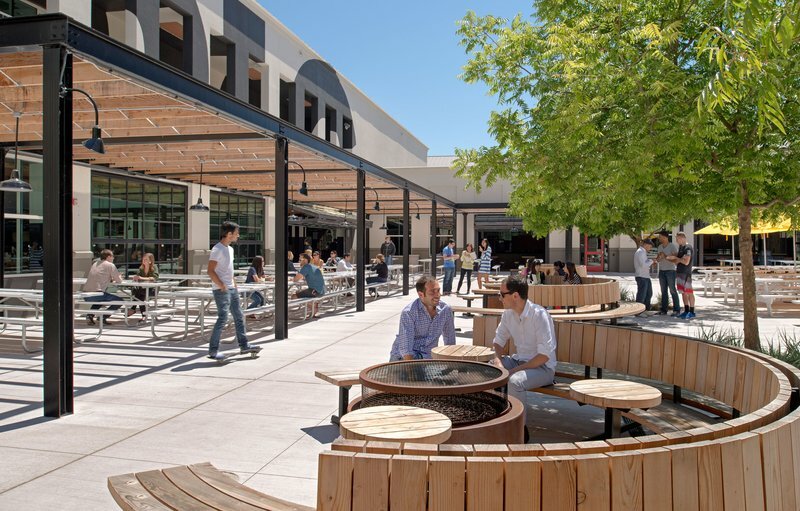 Businesses will continue to rely on physical workspaces to foster teamwork and creativity. At the same time, however, the commercial real estate industry is not at all exempt from disruption. At Rising, we've embraced the disruption and we've become a better provider of real estate services as a result. In our view, every tenant is a “tech tenant,” making technological impact fundamental to the way we manage buildings. It's more important than ever to embrace innovation, and be adaptable to the ever-changing landscape of the business world. While I don't see robots taking over completely, there's certainly looming potential for job cuts — and it's critically important to stay ahead of the curve. Current white-collar workers can position themselves to succeed in an AI-influenced world. Creative fields such as art, design and media are, almost by definition, impossible to automate. Not to mention “high human touch” industries like healthcare and entertainment. I'm not stating that everyone should be an artist or a designer; but to succeed in an AI world, it will demand creativity, empathy and a team oriented mentality. At Rising, we believe that office space will have to cater to a world where people demand an inspiring environment, where there is tremendous flexibility in how space can be used and where broadband access is unlimited. We believe that office space is a tool to recruit talent in the 21st century, it is a place to creatively solve problems and it is a place that supports a team. This is a far cry from 20th century space designed to get automated tasks done as efficiently as possible. Automated tasks will continue to move toward AI and an office environment will be used to get the most and the best out human beings.